Thank you for choosing South Mississippi Spacewalks and Waterslides, LLC. We have a great variety of spacewalks/bounce houses, combos, dry slides, interactives, water slides, and accessories for Gulfport and the rest of the Mississippi gulf coast! We have been servicing South Mississippi since 2009, and we always strive to create the most successful party experience possible! Please browse around and find something you like! As always do not hesitate to call our office at 228-297-4807 or email waterslidefun2@gmail.com if you have any questions or if you are unsure of what to book! We can ALWAYS guide you to the perfect inflatable for your age group or party type! Please call or email if you have any questions or if you don't see what you're looking for! Everything you want the way you want it! South MS Spacewalks and Waterslides is located in Gulfport, MS, in the heart of the Mississippi Gulf Coast! 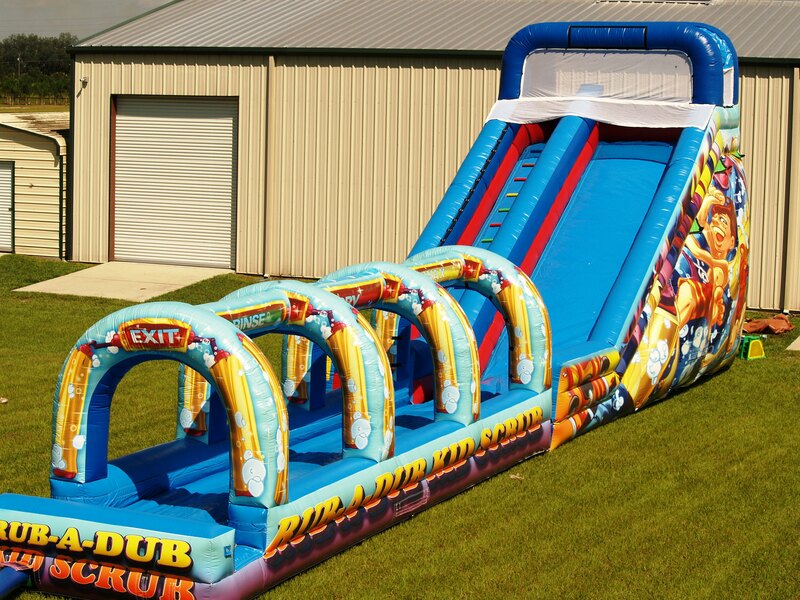 We deliver bounce house and water slide rentals to Gulfport, Saucier, Mchenry, Perkinston, Wiggins, Biloxi, Woolmarket, D'iberville, Ocean Springs, Gautier, Vancleave, Long Beach, Diamondhead, Pass Christian, Bay St. Louis, Kiln, and Waveland. In Gulfport, MS they are known by many names: bounce house, jumps, jumpers, fun jumps, moonwalks, bouncers, spacewalks, or something as simple as bouncy castles. No matter what you call them, we have a great selection of all shapes and sizes with many of your favorite characters to choose from. We also have inflatable slides, water slides, interactives, bounce house combos, and tables and chairs at an extremely low price to assist in creating a successful party experience. So if you need a jump rental in South Mississippi, just give us a call or reserve on-line. Delivery and Set up are always free for any customer in South Mississippi. Our jumps are cleaned and sanitized after every rental. This is one of the things we pride ourself the most on. You will always receive a clean and sanitized rental from South MS Spacewalks and Waterslides without a question. We have over 10 years of party planning experience and we deliver throughout the Mississippi Gulf Coast. For a kids party they won't soon forget, get a bounce house (or moonwalk, jumper, spacewalk, fun jump or whatever you want to call it) from us and we promise an amazing party experience. Please feel free to click around and enjoy! Note: We are party specialists with jumps, water slides, castles, and more but we didn't leave the big kids out. All of our units are set with a suggested age group under them, and we have quite a few that can be used by adult parties! Take a look!